BA-8413 water-based acrylic copolymer, designed for gravure plastic composite ink. Good adhesion, good water-resistance and scratch resistance, excellent weatherability. 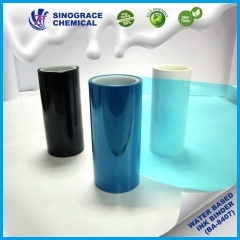 Applicable to the production of water-based ink polar substrate(PVC、treated PET、PS、etc) and treated non-polar substrate（PE、PP、OPP、BOPP, etc.）. Can’t be used as pigment grinding emulsion. 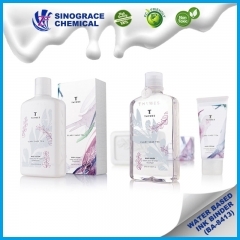 BA-8412 water-based polymer, designed for ink on untreated substrate. Good adhesion, good water-resistance and scratch resistance, excellent weatherability. 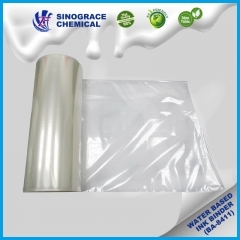 Applicable to be used as top coating on untreated PET film. Can’t be used as pigment grinding emulsion. BA-8411 water-based polymer, designed for ink on untreated non-polar substrate. Good adhesion, good water-resistance and scratch resistance, excellent weatherability. 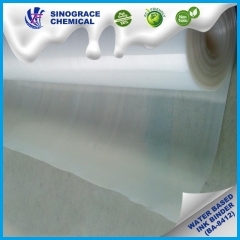 Applicable to be used as top coating on untreated PET film. Can be used as pigment grinding emulsion.